 Is the company a Member of Direct Selling Association? 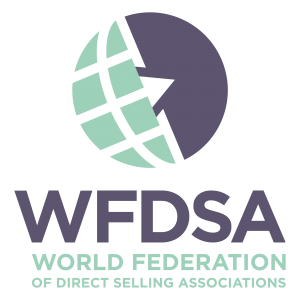 Look for proof that direct selling company you’re thinking of joining is a Member of Estonian Direct Selling Association or a member of DSA in at least some other country. This gives an assurance that the business opportunity is legal and that the company has agreed to abide by the Codes of Conduct, which regulates relations betweeen the companies, sellers and consumers and sets the highest ethical business standards. What, if any, start-up investment is required? The start-up costs in legitimate direct selling organisations are usually a modest contribution towards the cost of a sales demonstration kit. Organisations want to make it easy and inexpensive for new salespeople. Beware of any organisation that has a high start up cost, as it may be a scam, such as a pyramid scheme, and not a legitimate direct selling opportunity at all. A legitimate direct selling company will have reasonable provisions for the return of unsold inventory. In fact, a condition of LTPA Membership is that members have a buy back policy. This means if salespersons leave the business, the member will buy back unsold marketable products purchased in the prior 12 months and not less than 90 percent of what was paid for them. Think carefully about opportunities that require the purchase of large amounts of unreturnable inventory as a condition of joining. This is often referred to as front end loading. Reputable direct selling organisation’s have no such requirements. Solid direct selling organisations discourage salespersons from holding stocks of products and make it easy and convenient for salespersons to obtain product to fill their customers’ orders. Are the company’s products sold to consumers? Earnings from sales, not recruitment, are essential for a legitimate business. Direct selling, like other retail channels, depends on selling products to consumers, which requires quality products at competitive prices. Be careful of any business that claims you can “get rich” by solely using their products or by recruiting new people into the business. You should have a strong belief in the products you will be selling. A quality direct selling organisation will invest in training its salespersons and will assist you to get started. It’s your best guarantee of being well prepared to do your best. It is vital to obtain all the facts about bonuses, profits, commissions and responsibilities and be sure that you understand them fully. Ignore promises of extraordinarily high or guaranteed profits. It’s easy to be swayed by promises of a high income, especially if it’s said to be guaranteed or easy. Scam artists try to take advantage of human vulnerabilities, which is often very easy if someone is in a situation where they need cash fast. It’s important to remember that, as in any business model, earning substantial sums of money requires time and attention to building a business. In direct selling, the amount of time required will vary. It will be based on your goals and the amount of time you are prepared to spend on your direct selling activities. It may take a relatively short amount of time to begin earning supplemental income, but if your goal is to rely solely on direct selling, be aware it may take a much more time and require much more efforts. What are the organisation’s guarantees, warranties and return policies? It will be important to your customers and to you, so make sure that you are aware of and understand them. You must see them as being fair and reasonable. There should not be any penalties or difficulties imposed on you. Company should permit an independent salesperson to return products in saleable condition on reasonable commercial terms.